The Founders Were Not Libertarians or Ayn Randers! 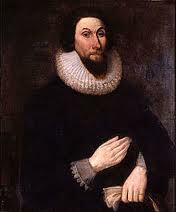 To those who condemn government, I would ask you to read John Winthrop’s speeches and Scottish history. Winthrop’s speeches to his colony created the nation’s first free schools; he exhorted them to take care of the poor, the helpless and sick, the weak and defenseless because Jesus required it of them; his ideals caused them to create income taxation based on the religious principle of “do no harm.” He said those who have more should contribute more to the commonweal than those who have less because it was the moral thing to do to meet the needs of the commonwealth. The South, on the other hand, as a result of the Scots-Irish immigrants came from a rougher sort as anyone who has studied Scottish history knows. Self-reliance in Scotland was necessary as civil society – and the rule of the King and Parliament and development of the commonweal – were extremely limited. That failure of government to develop a commonweal was one of the reasons why England prospered as Scotland stagnated and continuously plunged into tribal (clan) civil wars. Prior to the Constitutional Congress, Madison, Mason and many others exhorted Jefferson and Washington to throw their hats in the ring with them to create a new national government out of the ashes of a dysfunctional Confederation. Finally, when representatives met, outside of the Confederation Congress, the members spent months writing and arguing the Constitution – without the Bill of Rights. Newspapers and tavern discussions dominated conversations across the states: how should a federal government be limited; does a new constitution need to explicitly state individual and state rights; should rights devolve to the people first or to the states first; should a federal government take pre-eminence over states. Those arguments consumed Americans and filled the newspapers. Madison joined with Hamilton in arguing in the Federalist Papers that the nation needed a strong central government to deal with the challenges facing the new nation. England still threatened her merchant marines and trade routes. France wanted to be repaid. Individual state coinage was a complete fiscal disaster. In short, the new nation was being torn apart. However, a new central, strong government could solve those problems, Madison and his friend thought. Not everyone was satisfied with the idea of strong central government. States’ Righters in the South pushed to have states rights prevail over individual rights, believing that states held pre-eminence over individuals. Northerners demanded individuals take precedence over states. Finally, a compromise was formed after the original Constitution was ratified in which citizen rights were confirmed as Northerner’s wanted and state’s rights were confirmed as Southerner’s wanted. The outcome was the Bill of Rights. Later, Washington came down on the side of strong federal government, which after much discussion, allowing Hamilton to set up a national bank and pay off the nation’s debts over Jefferson’s objections. When I read Libertarians demand devolution or elimination of federal powers, I harken back to the arguments of our founders. None of them were Libertarians as many Libertarians would described today. The main disagreement that had existed two centuries ago was between the pre-eminence of individual rights via a strong federal government or state rights which held to a weaker federal government. It was not whether a person could opt out of societal responsibility, previously known as the commonweal, for self-interest. Although the North held to a stronger belief in social responsibility, the South really did not dispute those notions entirely. Even clans built strong social networks. A month or so ago, I read a speech – or book preface – in which Libertarian economist and author Fredrick Hayek wrote that he was not a conservative. He wrote that conservatives look backwards, while he, a self described classical liberal, looked forward into the future. In other writings, he stated that a federal government should do what a individual cannot do alone, including building infrastructure, care for the needy, and providing health care. He wrote that these things were not against individual responsibility but rather fostered the ability of people to make decisions for themselves without destroying the social fabric (the commonweal). The Mises Institute may be the hero of many libertarians, but Mises appears to have perverted Hayek’s concerns at a time of rising communism (authoritarian state control of industries) in parts of Europe. Fighting communism is a dead argument. Communism, in its purist form, no longer exists. Even China can no longer be called Communist. In actuality, China and Russia most clearly resemble their monarchies of the 19th Century. Nevertheless, what some call socialism, particularly in the USA today, is nothing more than a response to the market and the requirement to compete globally. For example, 17% of GDP going to health care nationally when other OECD countries spend ~11% puts US companies at a financial disadvantage competitively. Moreover, a system based employer provided health care reduces the ability, incentive and motivation to start a new business. Even if one were to eliminate insurance companies, the costs of the health care delivery system would be beyond the financial means of a middle income family. That is why England, for example, has more start ups than the US: individuals and families don’t have to worry about being financially destroyed should a family member get sick. Essentially, the people have more freedom. Hayek understood that essential freedom prospect and supported it. Hayek also understood the need to balance the “free market” with the need to protect the citizenry from corrupting, non-competitive legislation and legislation that would harm the public (the commons) due to industry specific, purchased legislation. Businesses will always – as they have always done – seek to protect their profits, regardless of the affects on society. That is why Hayek sought, in later years when communism was no longer a threat, to advocate for industry in general, rather than for businesses, and to protect workers from circumstances beyond their individual control. Modern day Libertarians, all too often, align themselves less with Hayek and more with Ayn Rand in their philosophy. Rand espoused a selfish, self-centered economic philosophy that is the antithesis of Winthrop’s commonwealth. It is also why Romney must be defeated. While Ayn Randers and many so-called libertarians aligned with him, he does not portray the values of Winthrop that dominated the US rise to prominence throughout the last 200 years.